The stars were out for Conservation International’s 20th Annual Los Angeles Gala Dinner on Thursday, March 10. This year’s dinner celebrated the transformational impact CI has had around the world by leaving “no stone unturned” to protect the planet for the well-being of humanity. The event raised funds support this global nonprofit’s work safeguarding the forests, rivers, coasts, oceans and wetlands that provide food and water, sustain economies and help promote a stable climate. Among the attendees were Dinner Chair Gillian Wynn, Host Committee members Kristin Gore, Lyn & Norman Lear, Louise Linton & Steven Mnuchin, and Edward Norton. 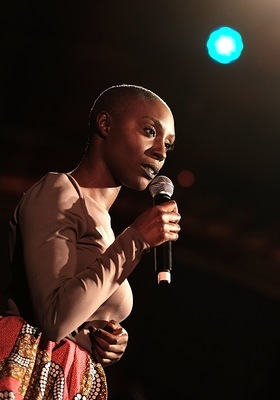 The evening included a musical performance by British singer-songwriter Laura Mvula, and an after party performance by DJ Tony O. Additional special guests included Shelli Azoff, Lawrence Bender, Former Governor Gray Davis, Jason Ritter, Doc Rivers, Katie Stevens, Steve Wynn, Renee Zellweger, and more. Dom Pérignon generously provided champagne for the cocktail hour and after party. Guests enjoyed the latest release, Dom Pérignon Vintage 2006.